Berganza The Jewellers is situated in the heart of Hatton, London. They are specialists in ancient, antique and vintage jewellery. They have the largest collection of these rings in the world. Each piece is rare and unique and they believe in only offering exceptional pieces from each design period, from Ancient Roman intaglio seal rings, Viking twisted rings through to rare gem-set Medieval pieces, Georgian, ornate Victorian, elegant Edwardian, bold Art Deco and retro vintage designs. Each piece has a unique historical background and dates to a time when jewellery was crafted by hand, so no two are alike. They supply only the finest quality pieces with natural untreated stones without enhancements. Every item of jewellery is set with hand cut diamonds or natural and unenhanced gemstones, often from mines long since depleted. Their team of specialists are trained in all aspects of gemology and history of jewellery design so they are able to select the finest quality pieces of jewellery for their extensive one-of-a-kind stock. They deal in rarity and as such have a vast collection of posy rings, the precursors to 'modern' wedding rings. 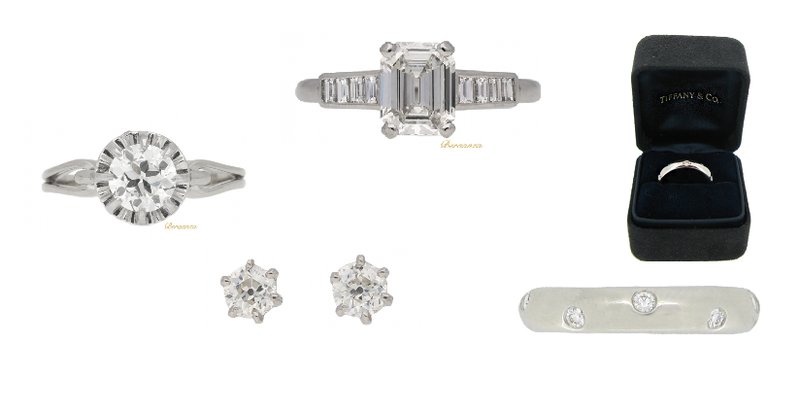 Whether you are after a unique engagement ring for that special woman in your life, or an family airlume for your daughter to pass on to her kids there is a huge selection of rare and unique pieces at Berganza. They stock lots of different brands and there really is something for everyone. They have something to suit most budgets and have a great choice when it comes to the stone/ gem, size, metal colour. The search options on the website make it really easy to find the perfect ring. If you need help whilst shopping online you can phone or contact them via many other social media outlets. Or you can pop into their store in London where one their specialists will be able to assist you with your purchase.